At the heart of the Euregio Meuse-Rhine border region (Liège, Aachen and Maastricht), in a wooded area close to the city, this park offers property solutions for technology companies (land and buildings), and privileged access to both research and training. 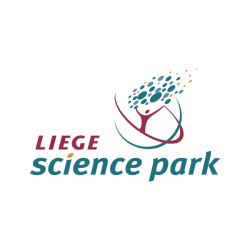 There are three incubators at LIEGE science park: WSL (engineering and aerospace), GIGA (biotech), WSL Labs (microelectronics). The University, its hospital and Liège’s research centres have long been open to partnerships with companies in numerous sectors, and have promoted an Open Innovation culture, well anchored in LIEGE science park. The company/university interface contributes to the emergence of projects and, through its ” LIEGE CREATIVE” programme, creates a collaborative dynamic which focuses on the breaking down barriers and encouraging synergy between skills as a source of creativity, innovation and entrepreneurship.